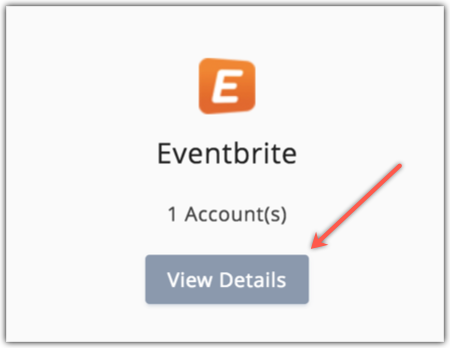 Mouse over Eventbrite and click Connect. Send campaigns about an event. Generate the Eventbrite stats and results in Report Summary. 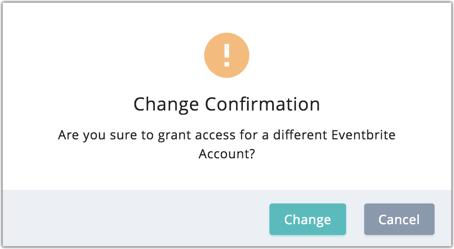 What happens if I deny/change my Eventbrite account integration? You can't import your contacts from Eventbrite. 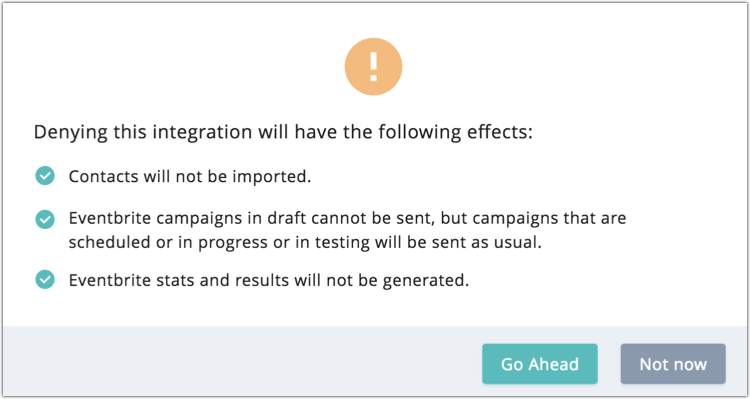 Eventbrite campaigns in the draft cannot be sent. Eventbrite stats and results will not be generated. Mouse over Eventbrite and click View Details. Click the Change button beside the account name. 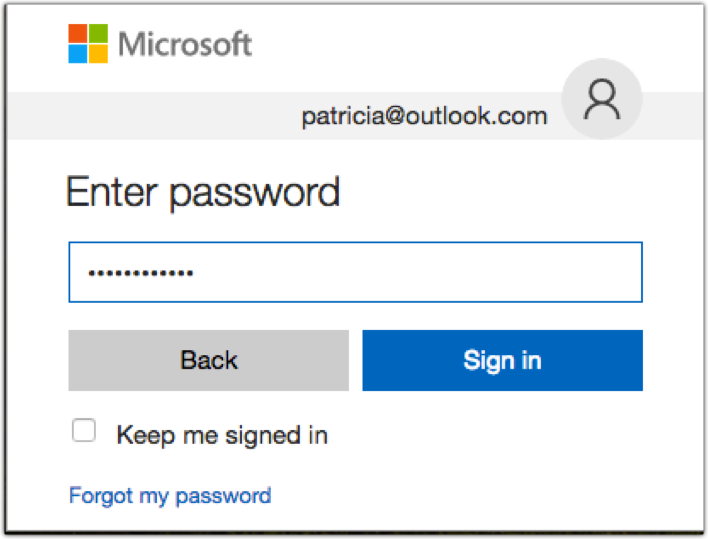 Click Change in the Change confirmation popup and Log in to another account to allow access. Mouse over SurveyMonkey and click Connect. 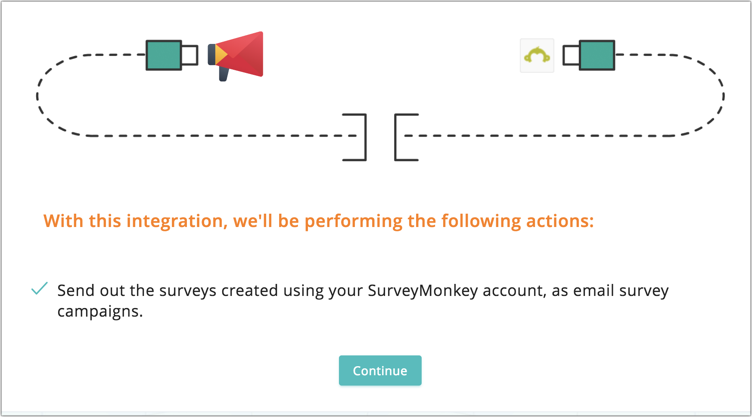 What happens if I deny/change my SurveyMonkey account integration? You cannot send the SurveyMonkey campaigns that are in the draft, but campaigns that are scheduled or in progress or in testing will be sent as usual. 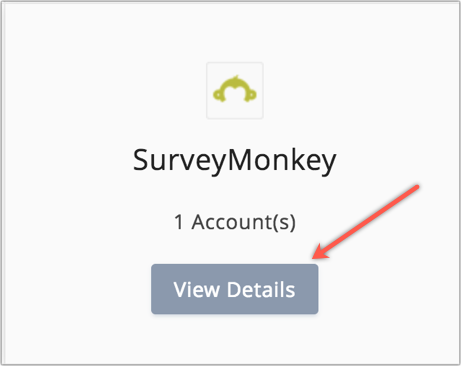 Mouse over SurveyMonkey and click View Details. Click Change in the Change confirmation popup, log in to another account and, allow access. Mouse over Shopify and click Connect. Enter Your Shopify store URL and click Proceed. 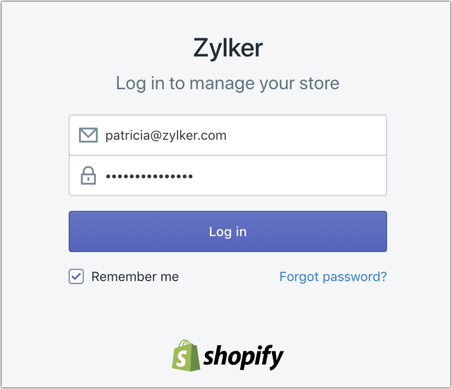 Sync contacts from your Shopify account. Send campaigns about your Shopify products. Track the recipients who have purchased your product. Generate E-commerce reports and the summary of your campaigns. Log in to Shopify and install Zoho app in your Shopify account to associate the accounts. 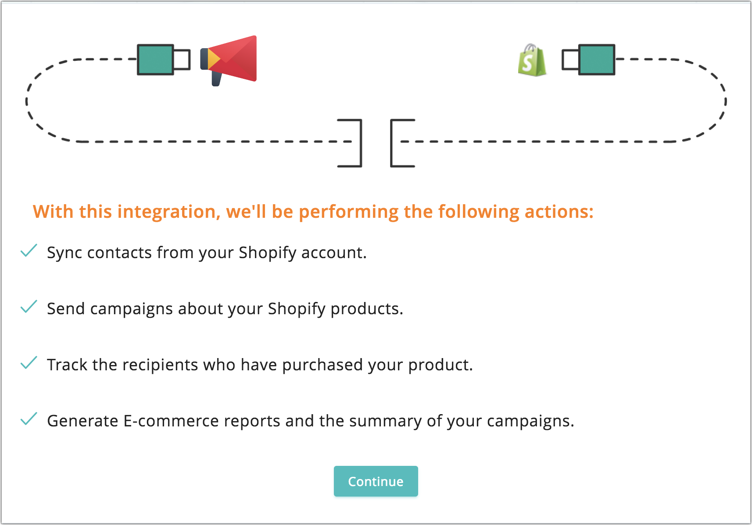 What happens if I deny my Shopify account integration? The contacts in your Shopify account will not be imported. 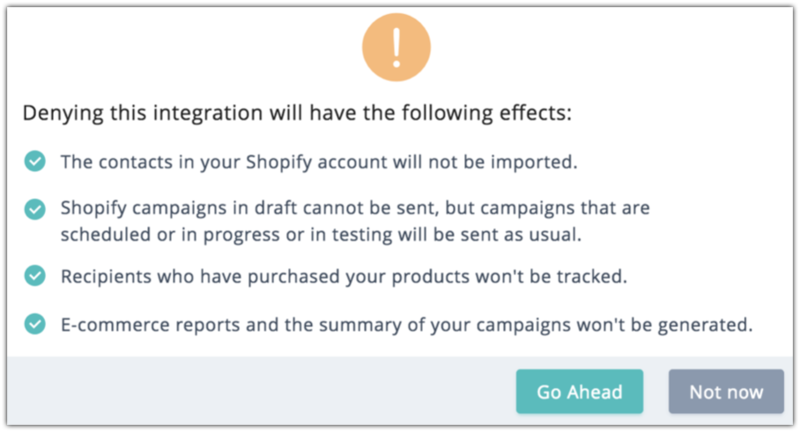 Shopify campaigns in the draft cannot be sent, but campaigns that are scheduled or in progress or in testing will be sent as usual. Recipients who have purchased your products won't be tracked. E-commerce reports and the summary of your campaigns won't be generated. Mouse over Shopify and click View Details. Mouse over Office365 and click Connect. Import contacts from Office 365 account to Zoho Campaigns. Create events in your Office 365 calendar when a campaign is scheduled or sent. 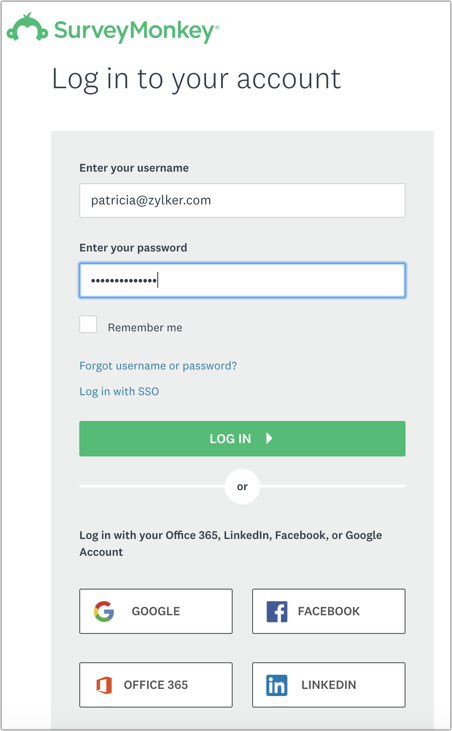 What happens if I deny/change my Office 365 account integration? 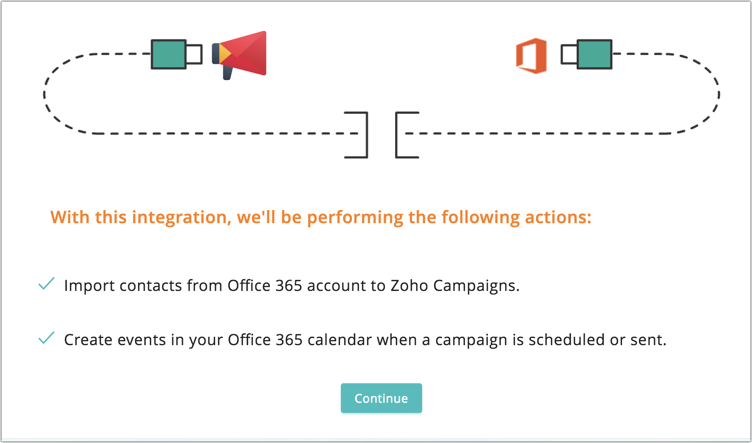 You cant import your Office 365 contacts into Zoho Campaigns any further. Events will not be created in your Office 365 calendar when a campaign is scheduled or sent. Mouse over Office 365 and click View Details. 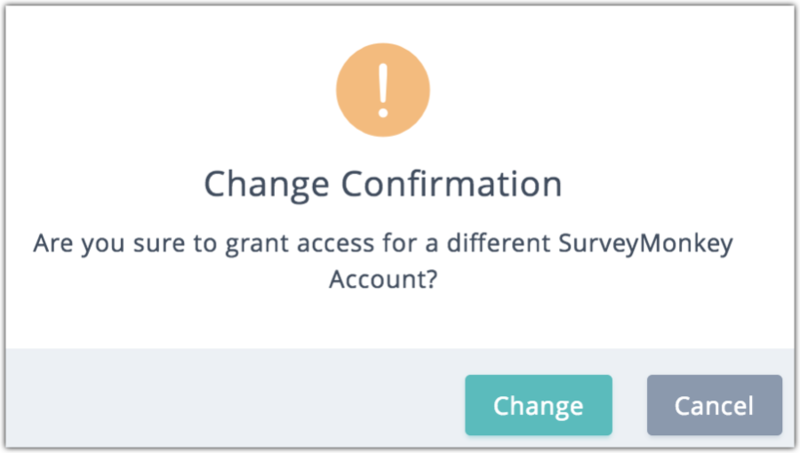 Click Change in the Change confirmation popup, log in to another account and allow access. In your Paypal account, follow the steps to associate with your Campaigns account. Mouse over Paypal and click Connect. Import the contacts based on the transaction taking place in your PayPal account. An IPN URL for Paypal account is generated. Log in to Paypal account with your credentials. Click on Profiles and then choose Other Options. Click on Selling Tools tab. Click update parallel to Instant Payment Notification under Getting Paid and managing my risk section. Update your IPN URL to integrate with Paypal. What happens if I delete my Paypal account integration? Your contacts won't be updated into the selected lists. 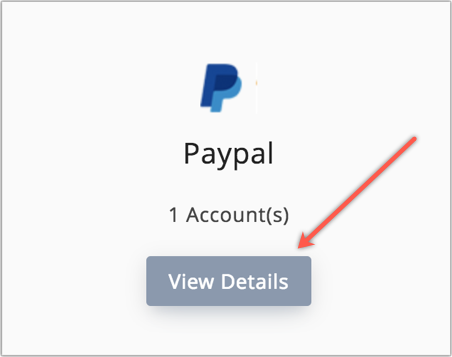 Mouse over Paypal and click View Details. Click the Delete button beside the account name. To integrate with Wordpress, you must first install Zoho Campaigns plugin in your Wordpress account. In your WordPress admin panel, go to Plugins and click Add New. Search for Zoho Campaigns plugin for WordPress. Click the Install now button to activate the plugin. Go to Zoho Campaigns Plugin and select API Settings. Email Address - Your email address used in Zoho Campaigns account. Click the Integrate button to proceed. Mouse over GoToWebinar and click Connect.A popup will appear. Import the details of your webinar registrants and attendees. View details about past webinars and upcoming webinars. 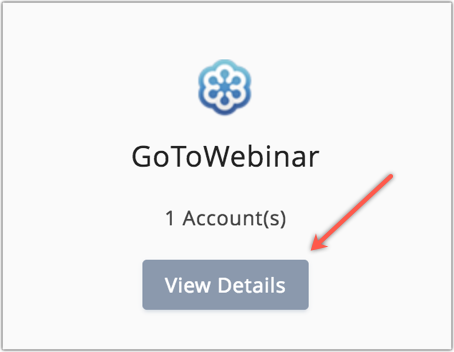 Enter your GoToWebinar credentials and click Allow. 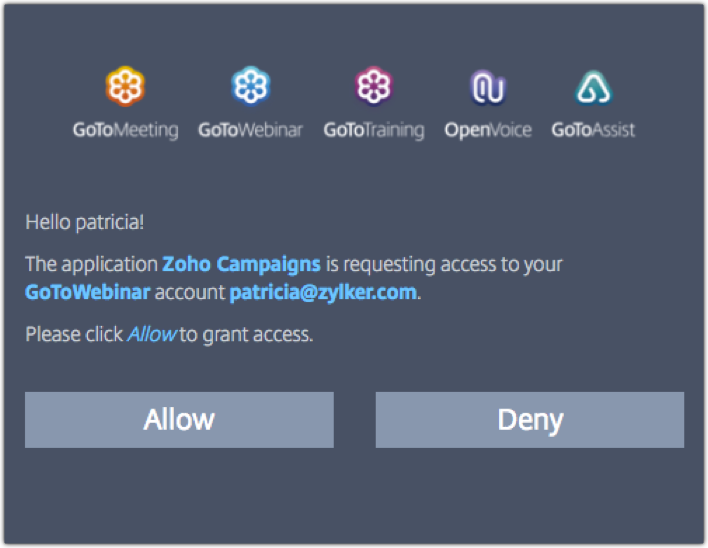 What happens if I deny/change my GoToWebinar account integration? You can't activate new syncs. Import of details of your webinar registrants and attendees in exisiting active syncs will be stopped. 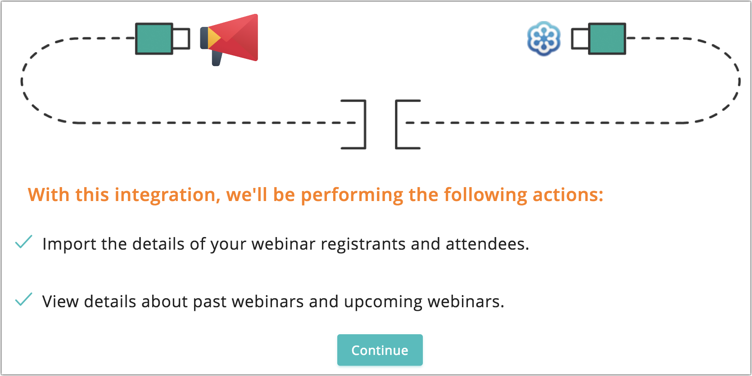 You can't view details about your past webinars and upcoming webinars. Mouse over GoToWebinar and click View Details. 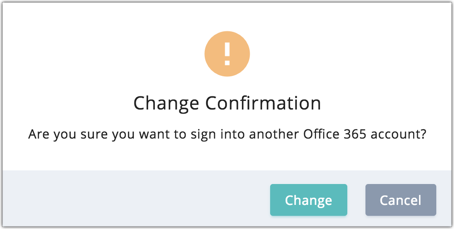 Click Change in the Change confirmation popup, log in to another account, and allow access. 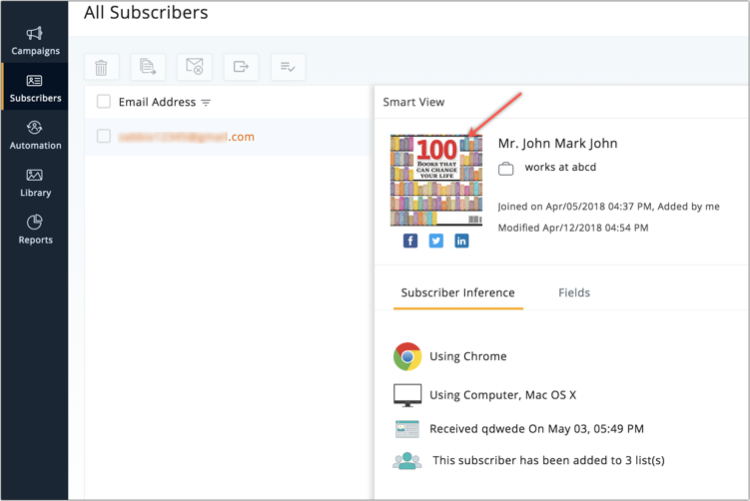 You can enable Gravatar to fetch and display your contact's Gravatar profile image in smart and detailed views of contact information. Mouse over Gravatar and click Connect. We will use Gravatar to check for the profile image of your contacts. If there's no image available, we'll assign them a default one. Click I Agree. 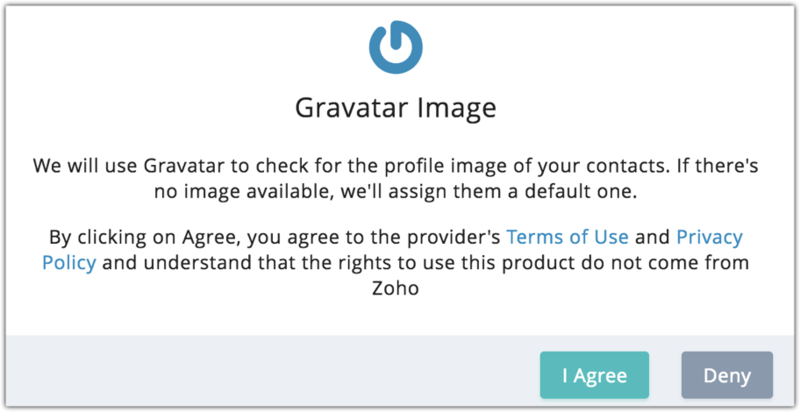 Your contacts' Gravatar profile image will be updated in Zoho Campaigns. 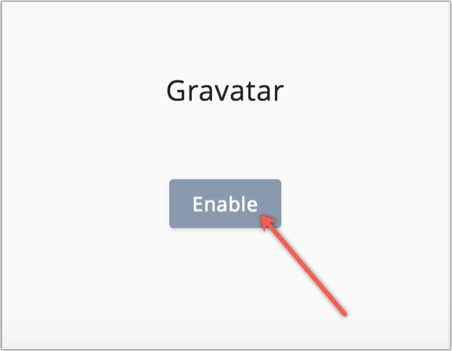 You can disable Gravatar by clicking on Disable button available under Gravatar in Integrations page.